Macrophage. 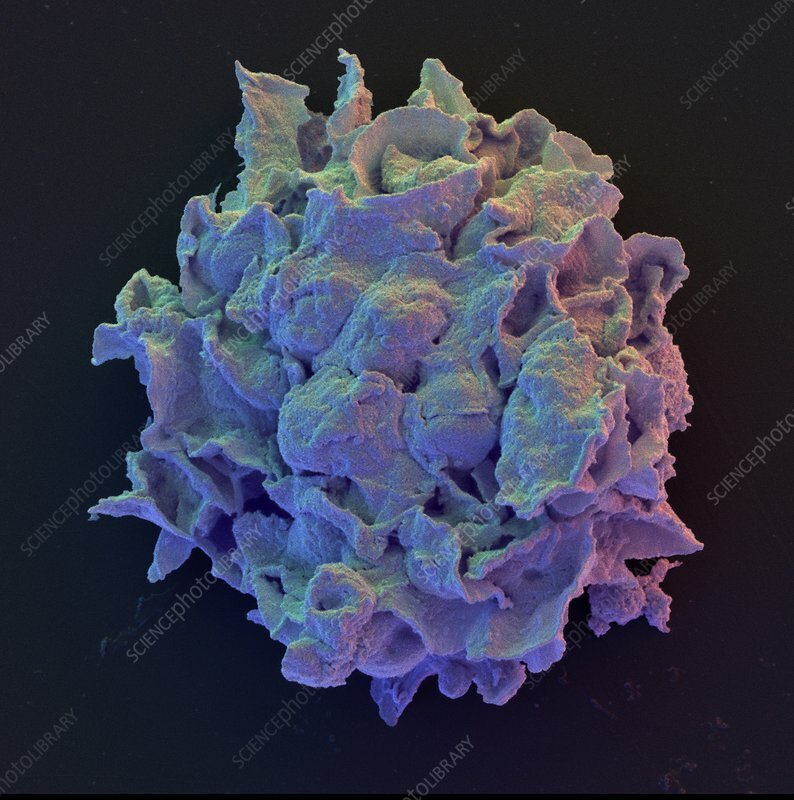 Coloured Scanning Electron Micrograph (SEM) of a macrophage, part of the body's immune response system. This is a solitary type of cell which engulfs and devours (by a process known as phagocytosis) invading microorganisms throughout the body. The projections on the cell's surface help the macrophage to fasten onto its prey. Macrophages a type of white blood cell which are found outside the bloodstream, mainly in connective tissue. If an infection occurs, by bacteria entering a wound for example, macrophages migrate to the site of infection and ingest the bacteria. Magnification: x2,741at 6x6cm size. Magnification: x4,160 at 4x4 inch size.